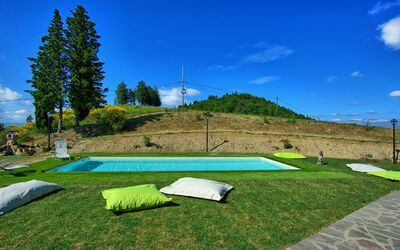 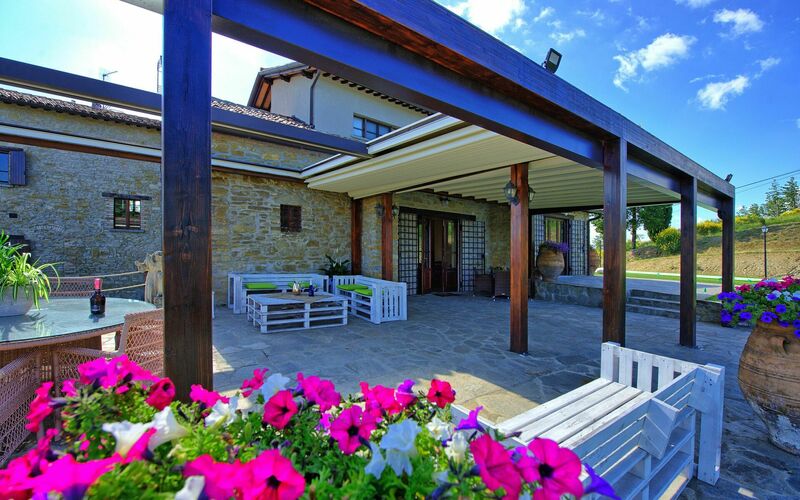 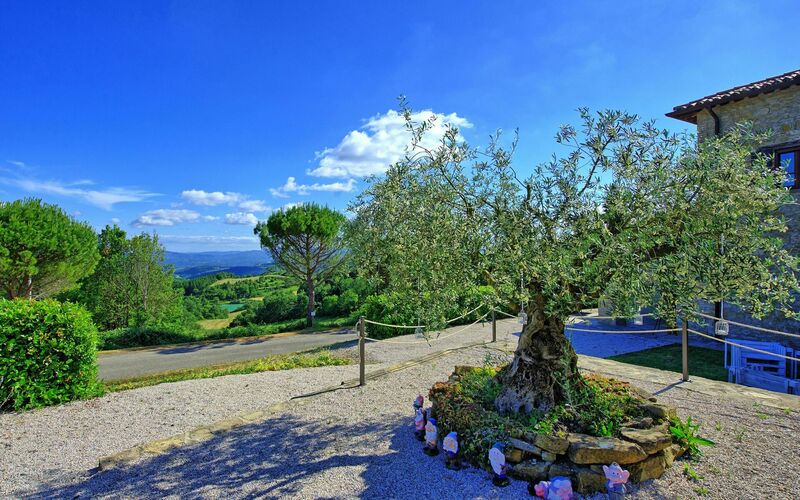 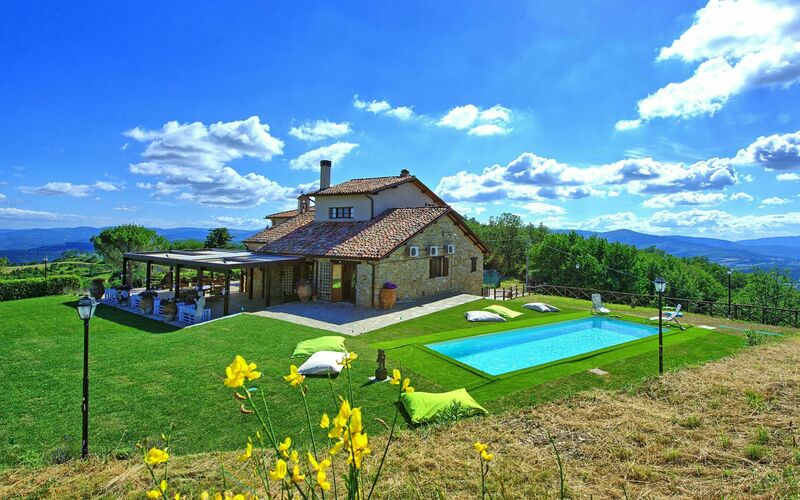 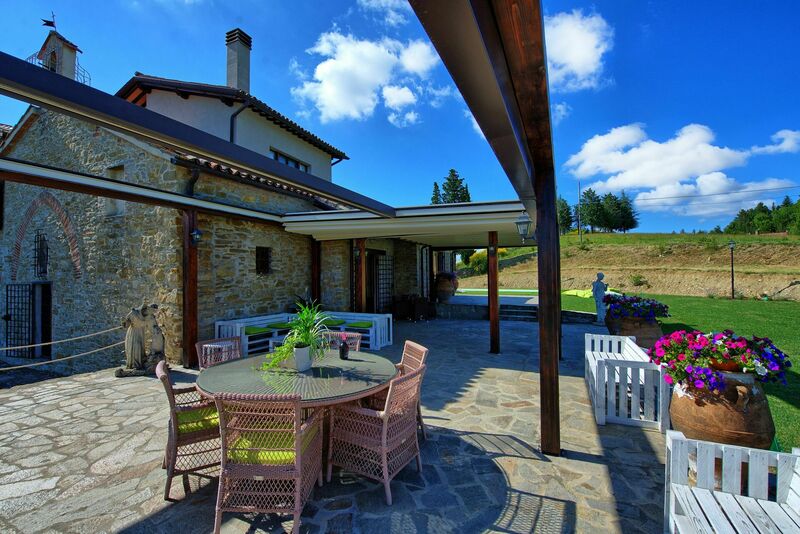 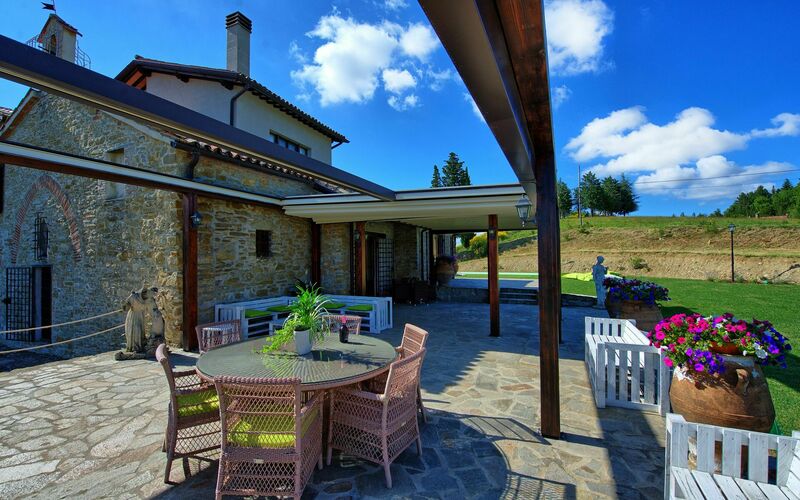 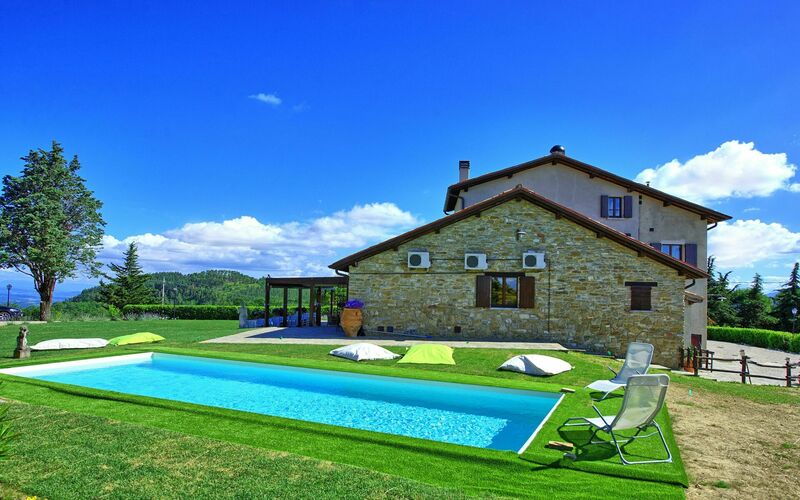 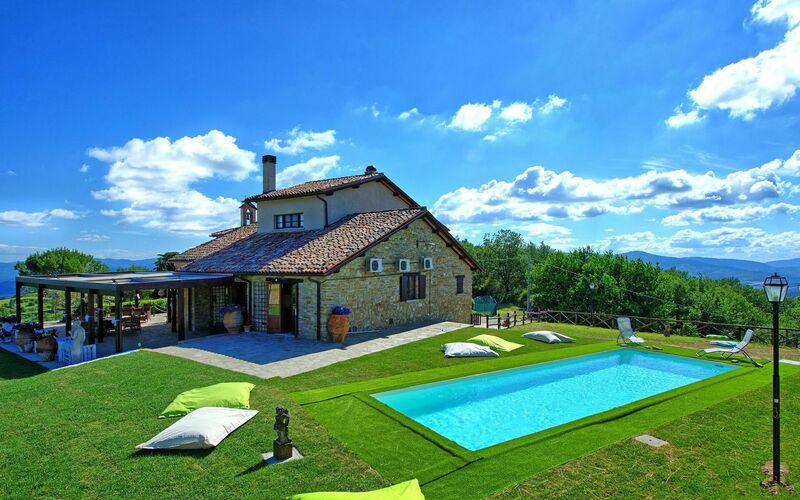 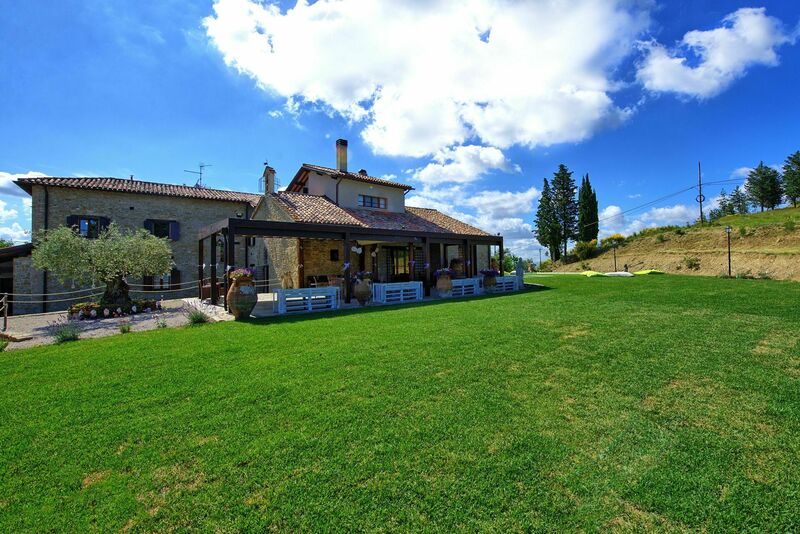 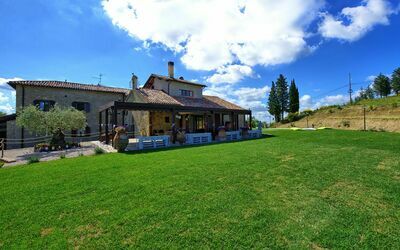 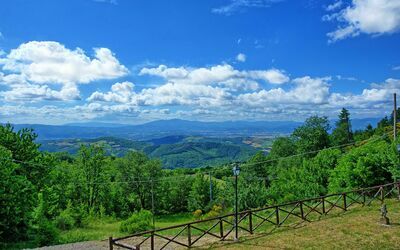 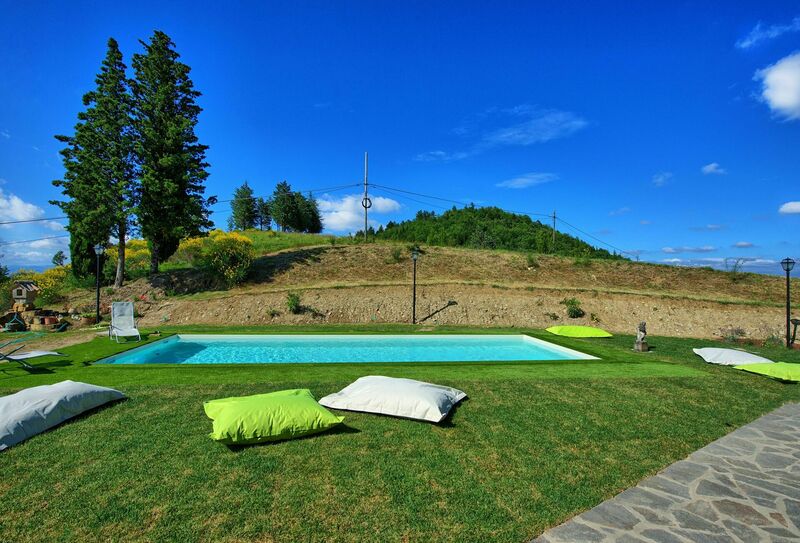 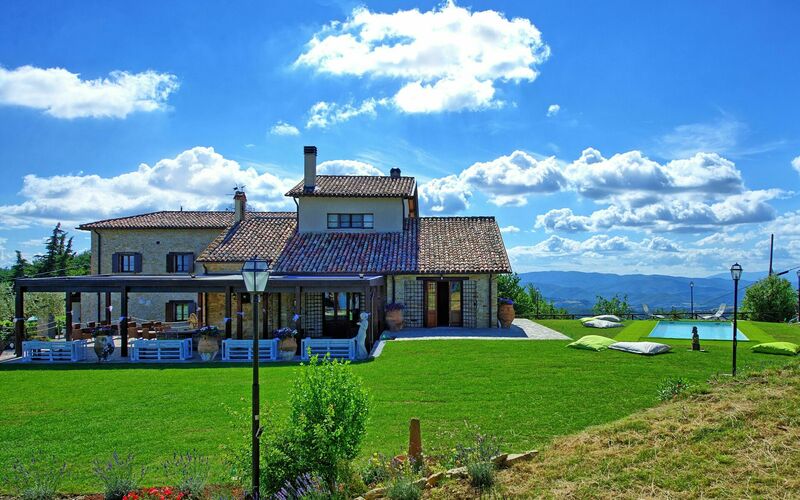 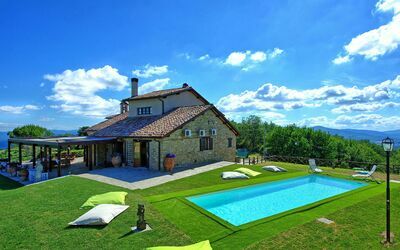 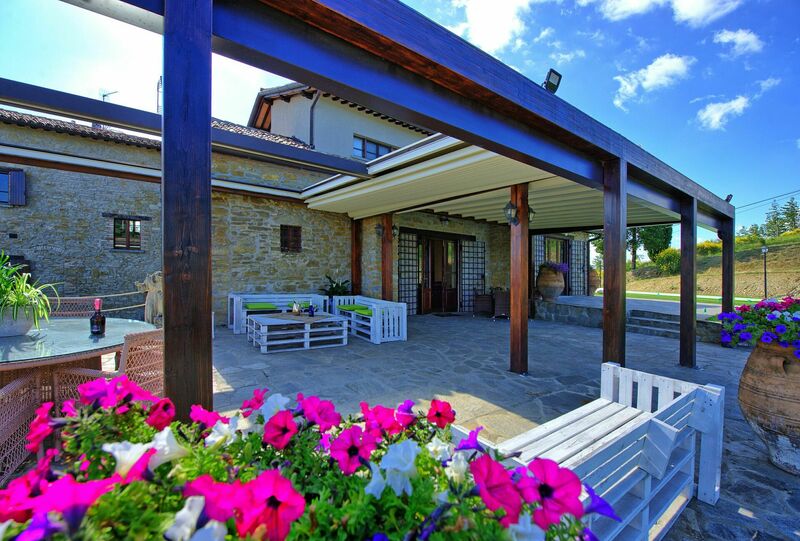 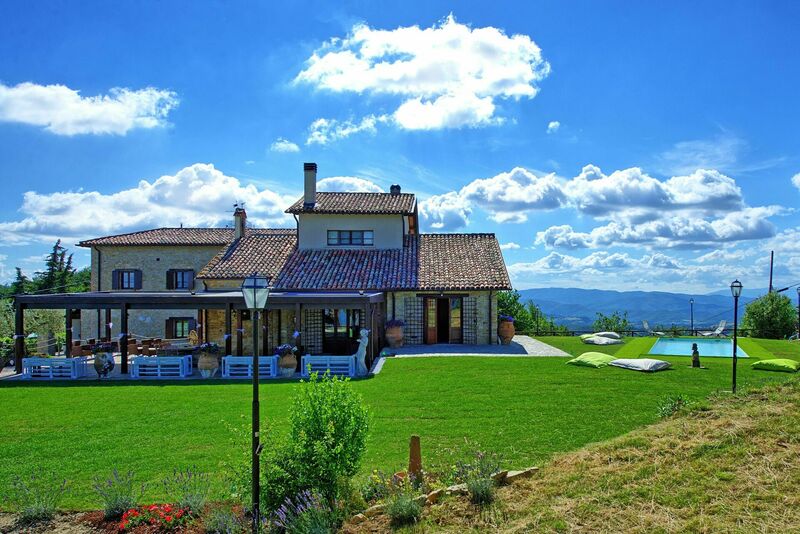 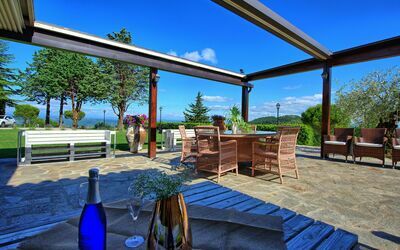 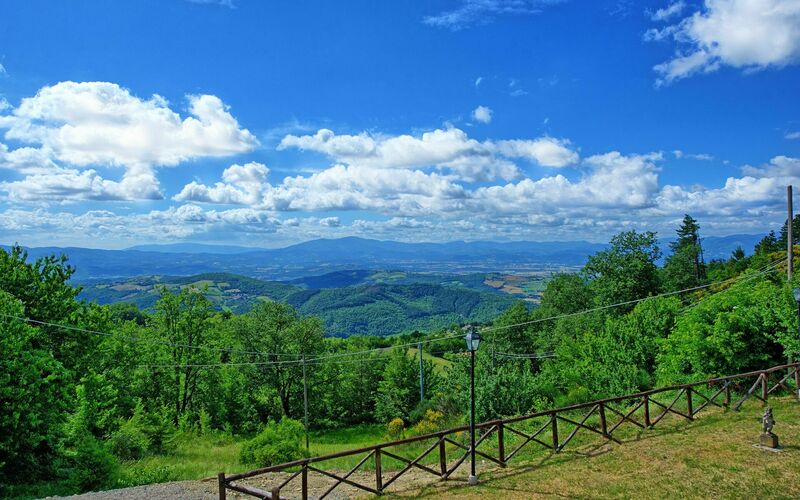 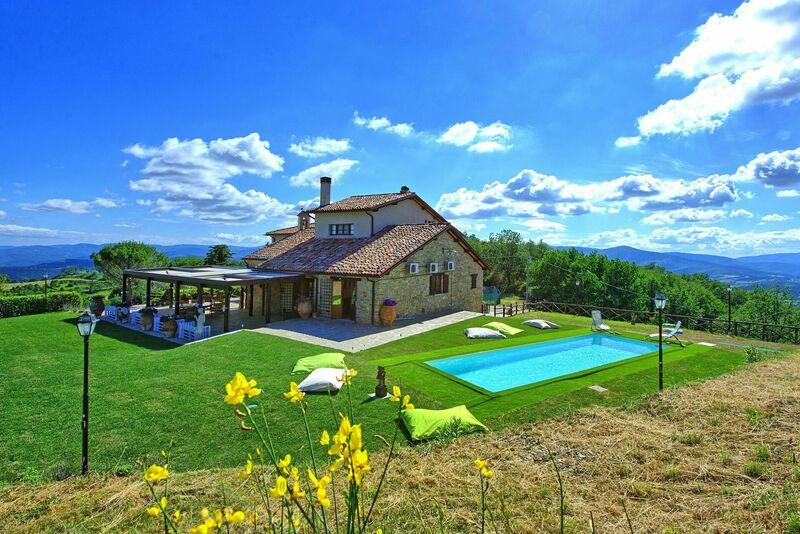 Beautiful villa with private swimming pool in a panoramic and peaceful location on the hills between Città di Castello and Monte Santa Maria Tiberina, beautiful villages in Umbria. 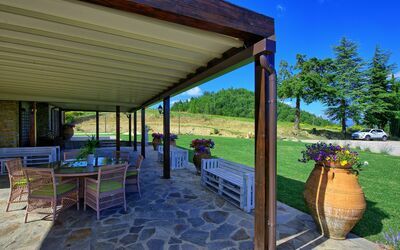 The house, immersed in nature, has large outdoor areas where guests can spend hours relaxing and it is surrounded by a beautiful landscape ideal for long walks. 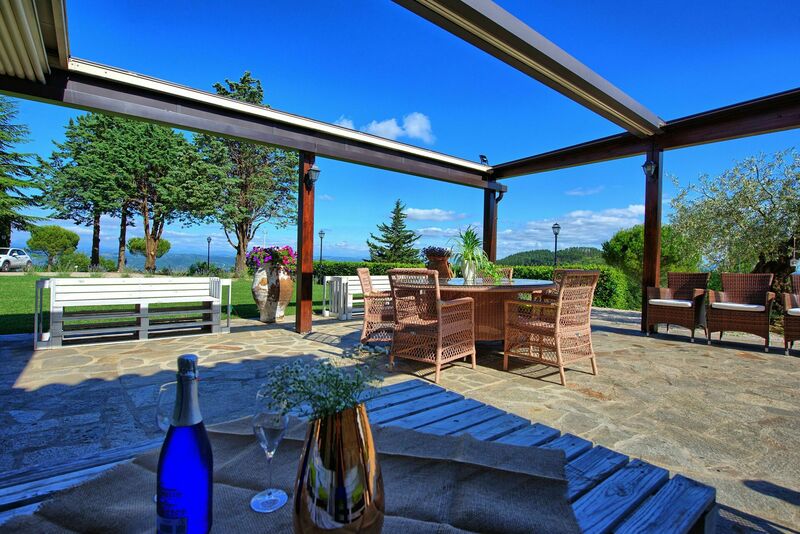 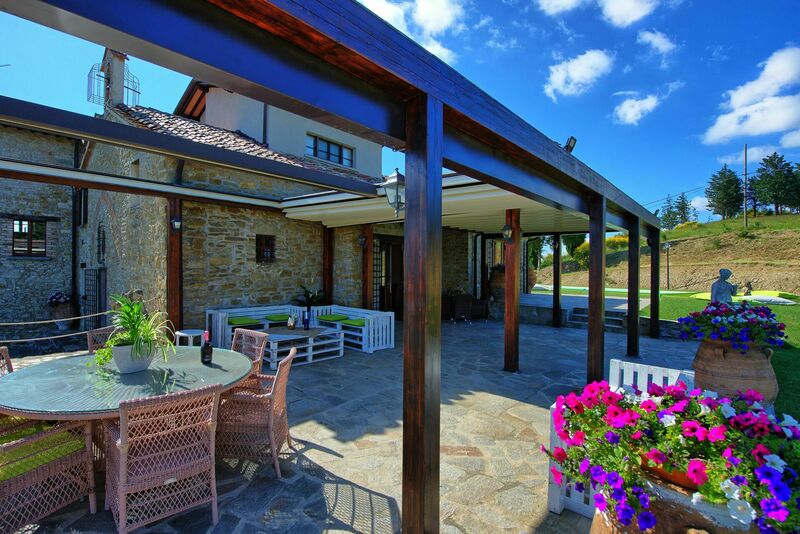 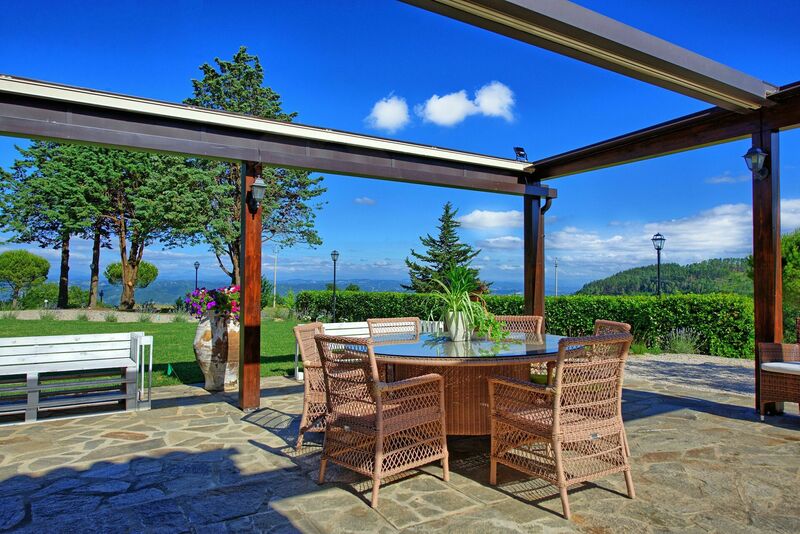 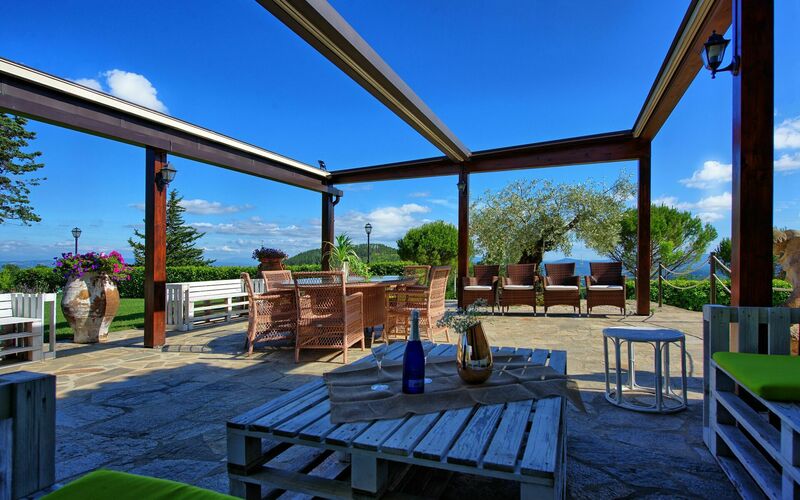 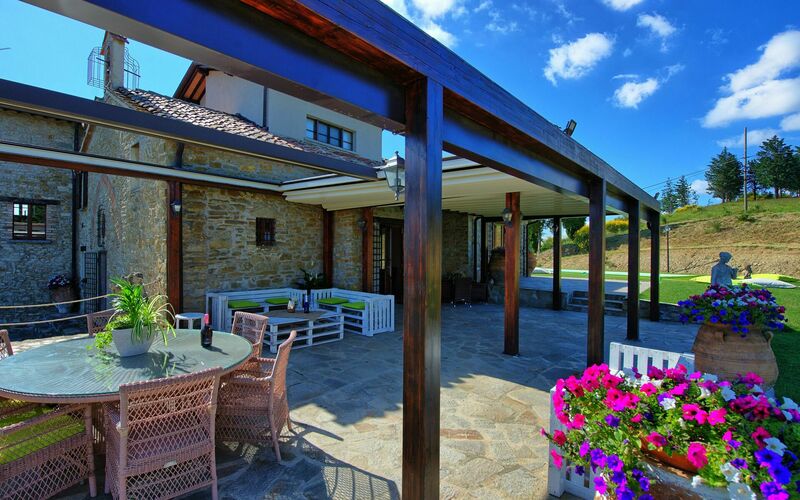 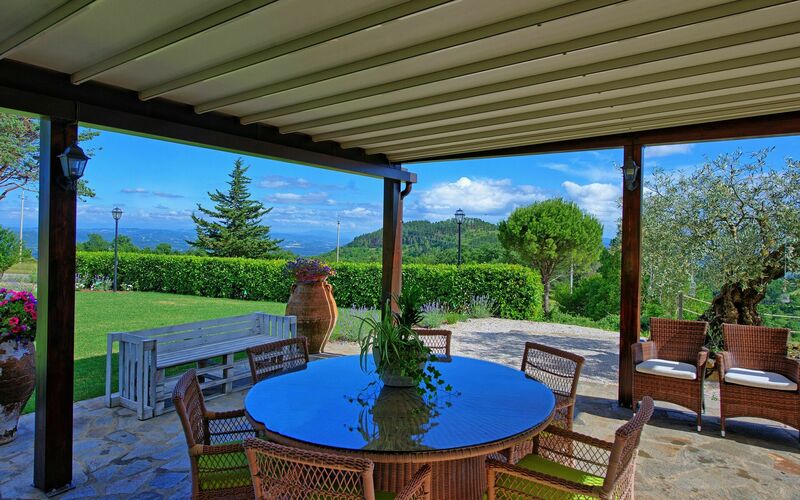 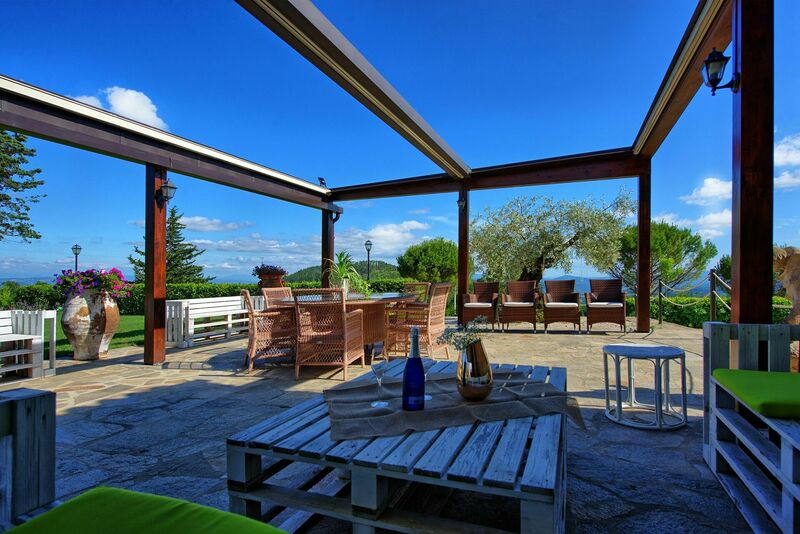 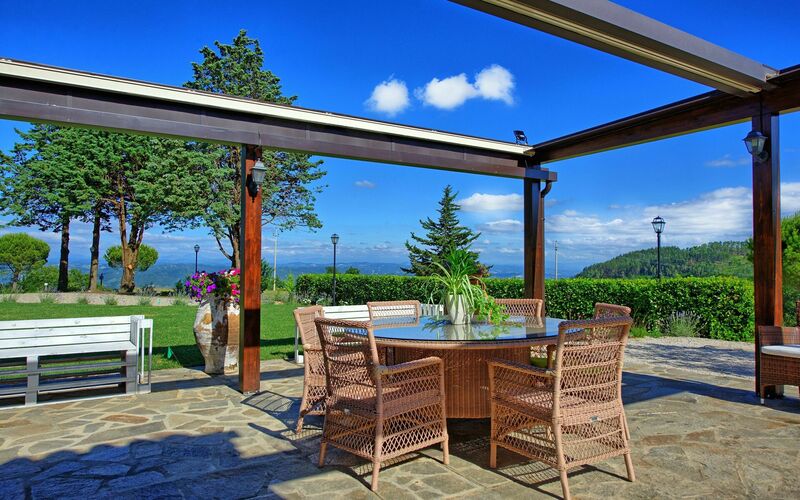 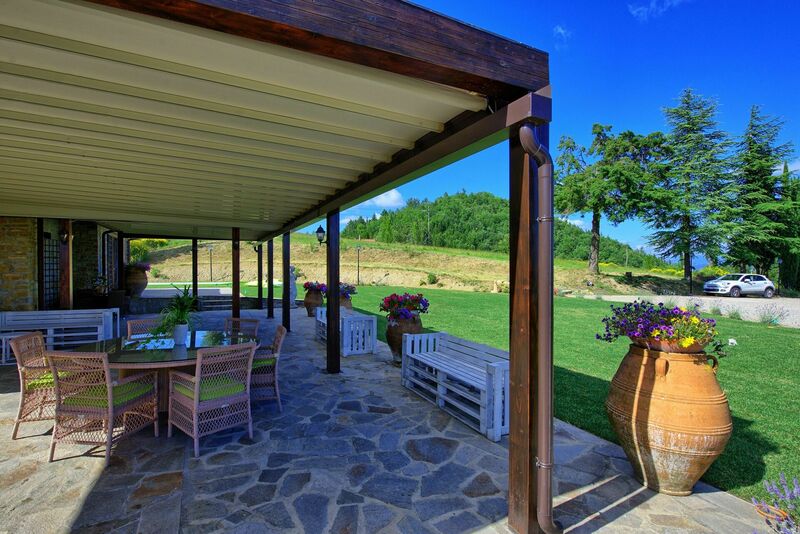 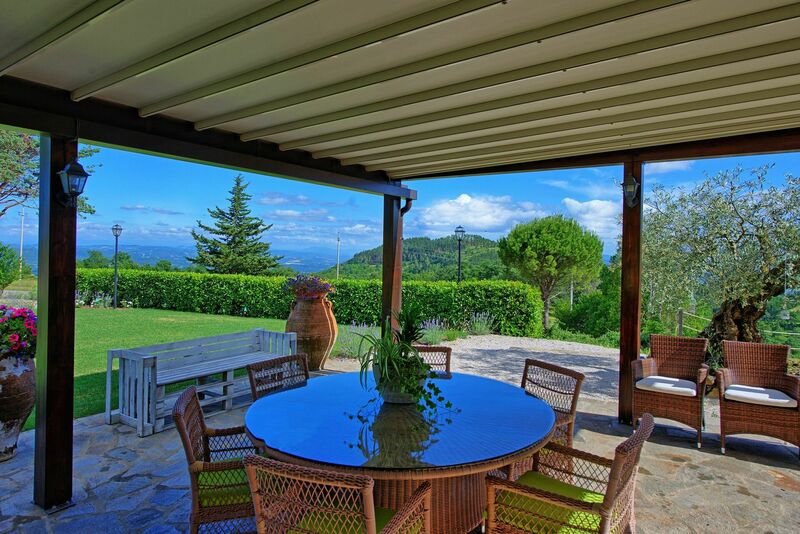 Outside guests can also enjoy a beautiful terrace with a retractable canopy that can be operated by remote control. 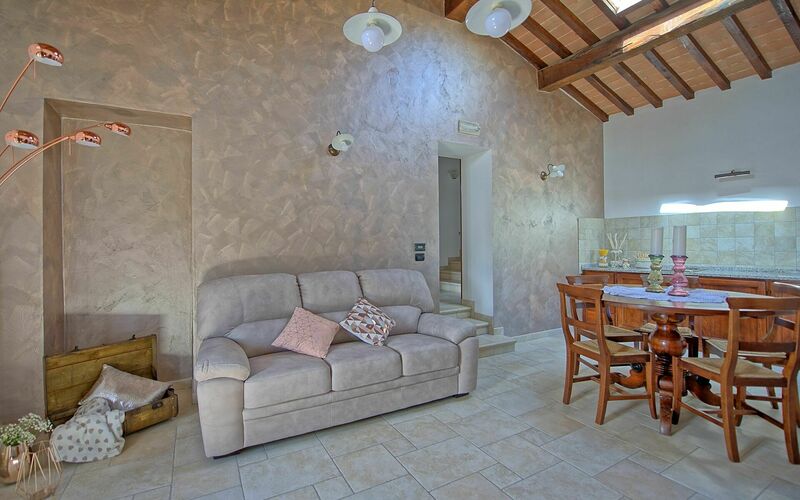 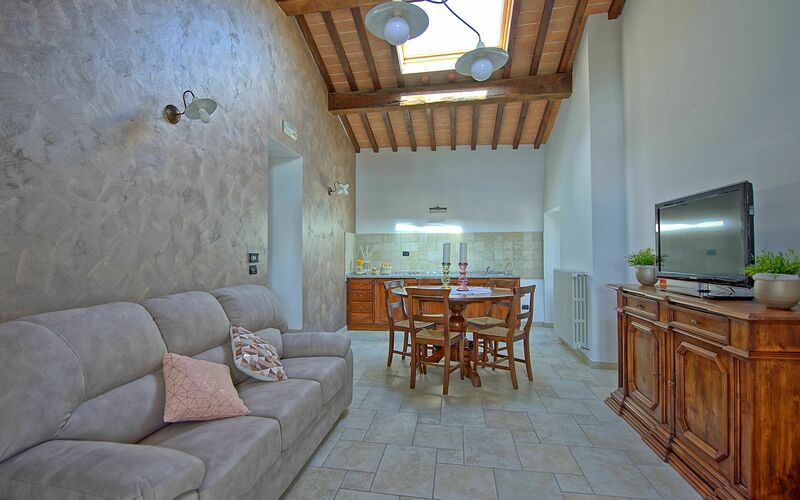 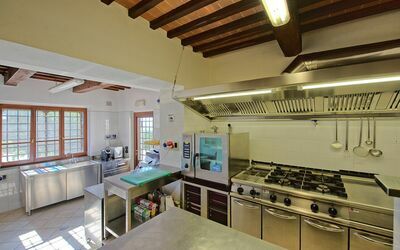 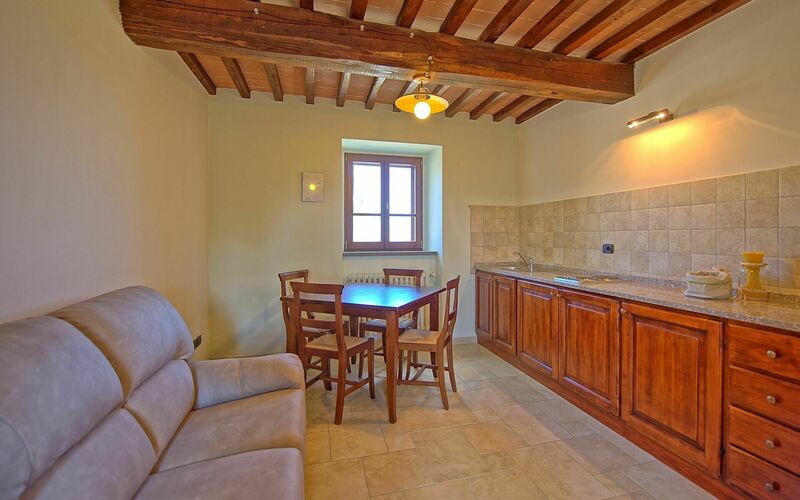 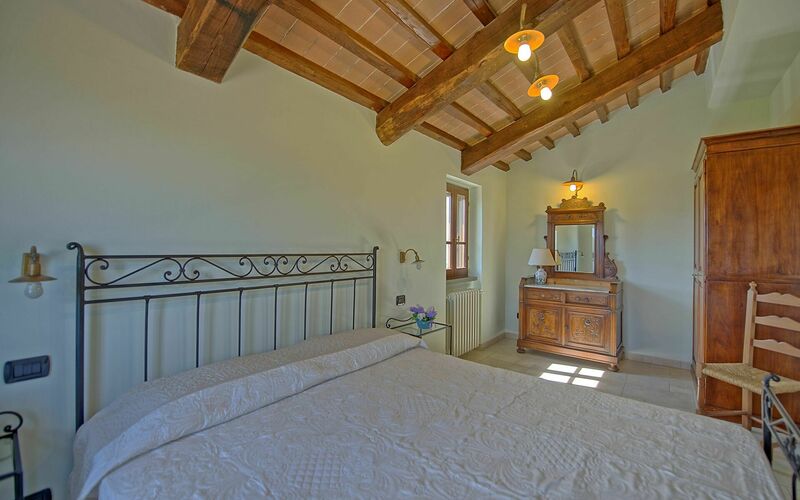 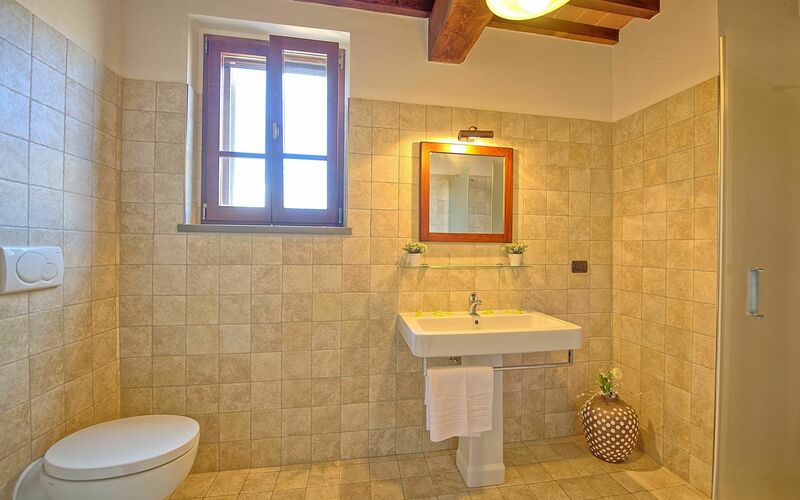 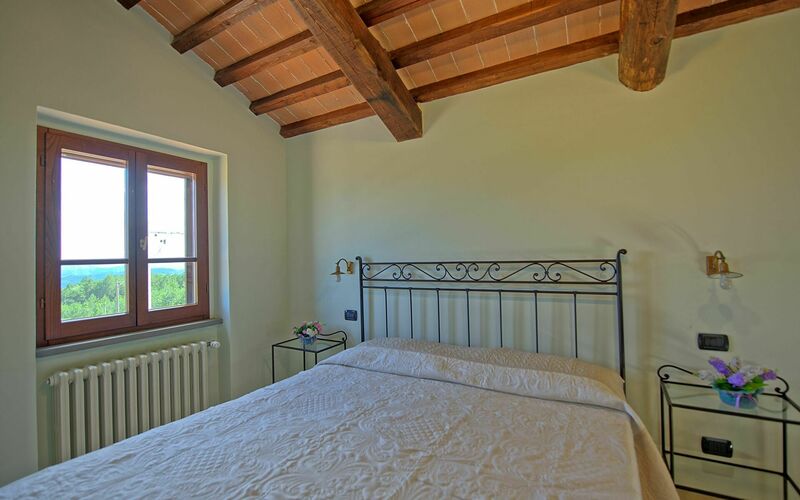 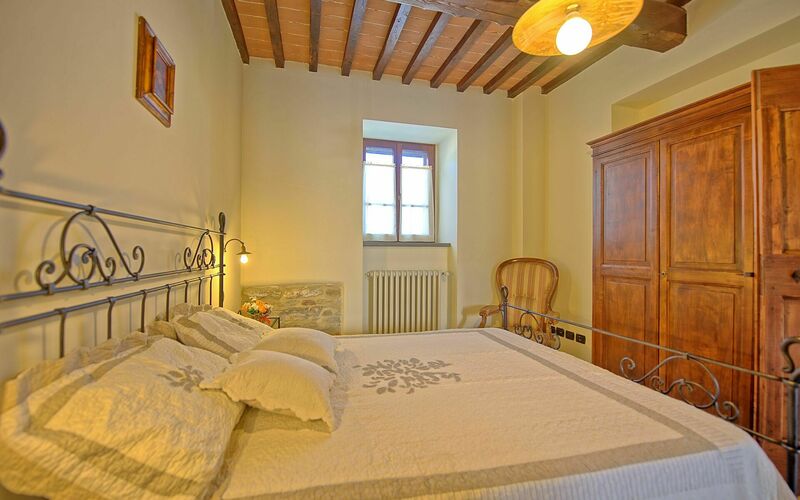 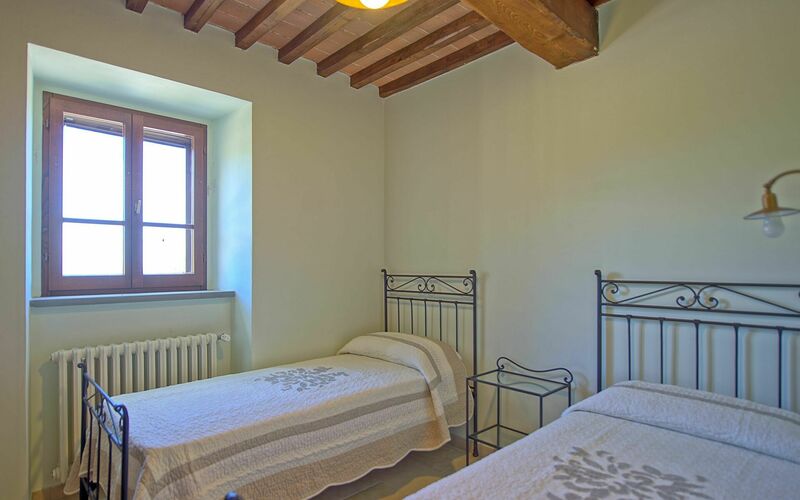 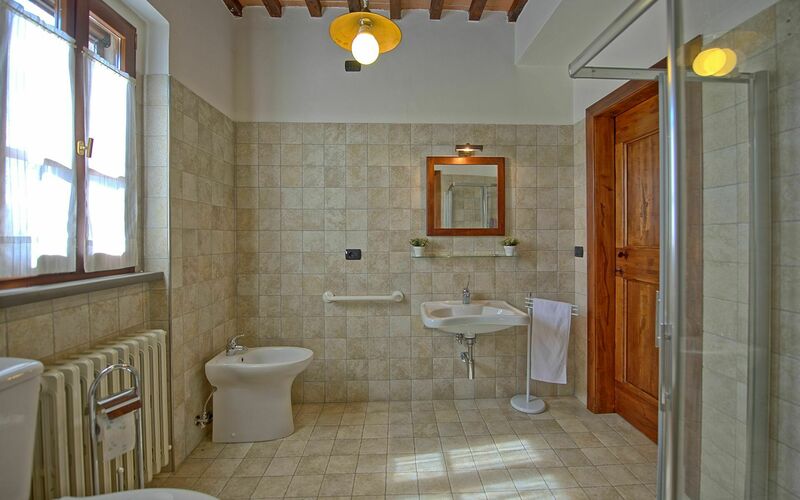 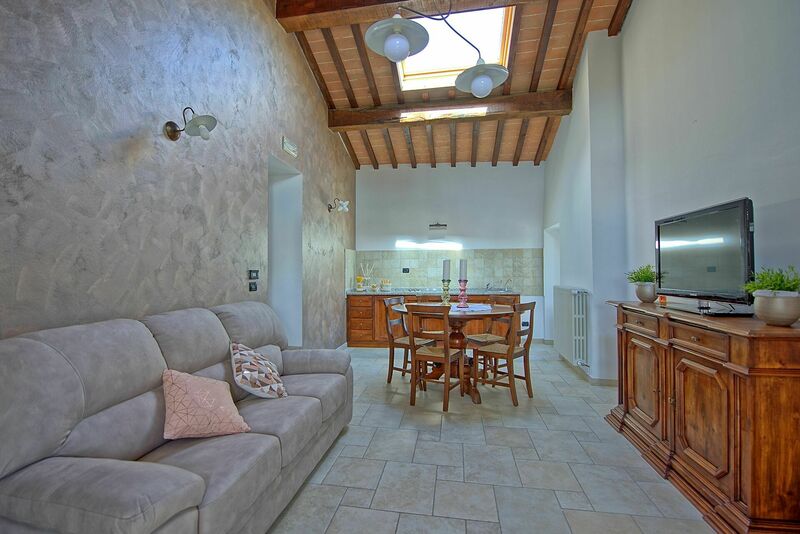 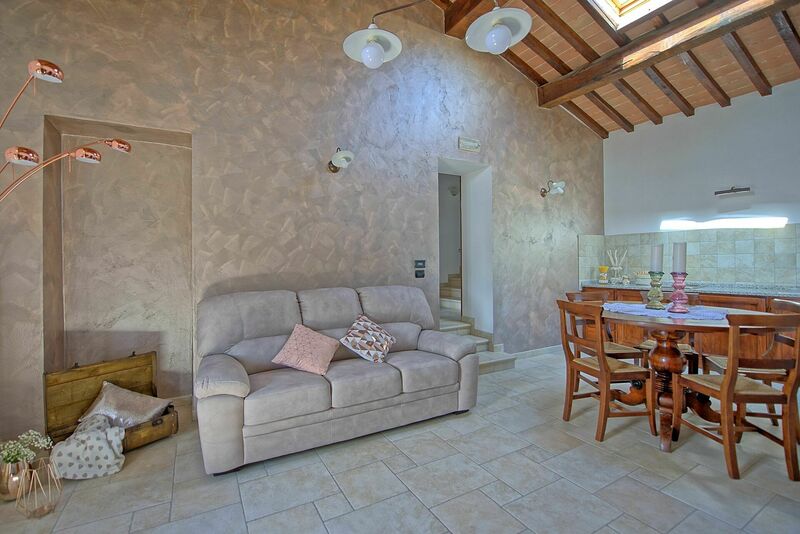 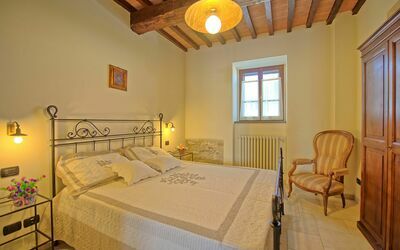 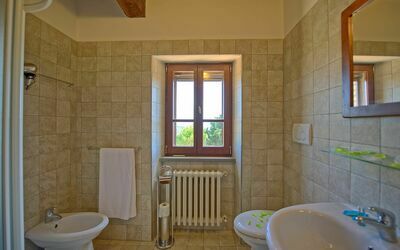 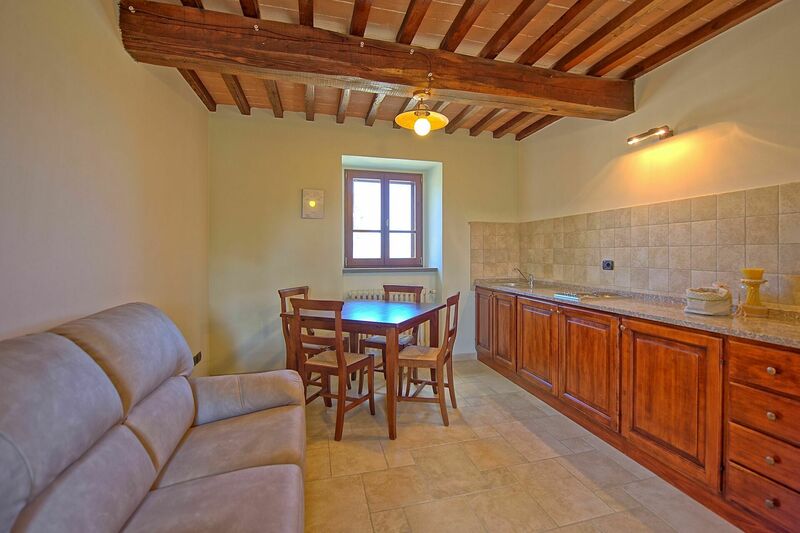 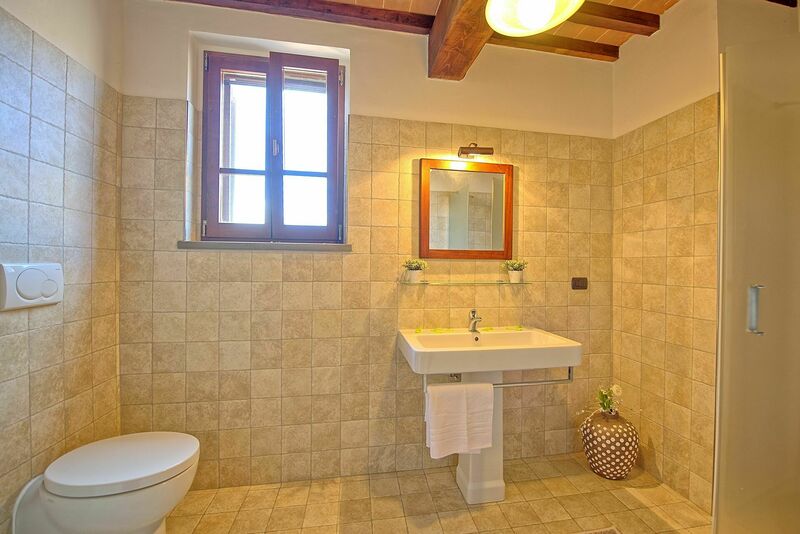 Inside, the villa is subdivided into 3 comfortable apartments in such a way that they guarantee privacy while at the same time offering a lovely large living area and kitchen, next to the terrace, where all of the guests can eat and socialise together. 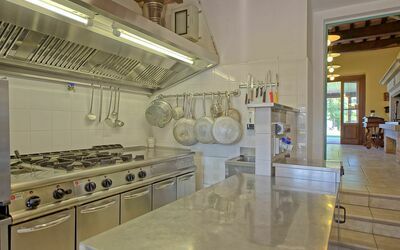 There is also a historic consecrated chapel within the property where both civil and religious weddings can be celebrated. Available to guests: large garden with panoramic views, terrace with canopy, private swimming pool (11 x 4 m – depth 1.5 m), kitchen. The property has free Wi-Fi internet and parking. 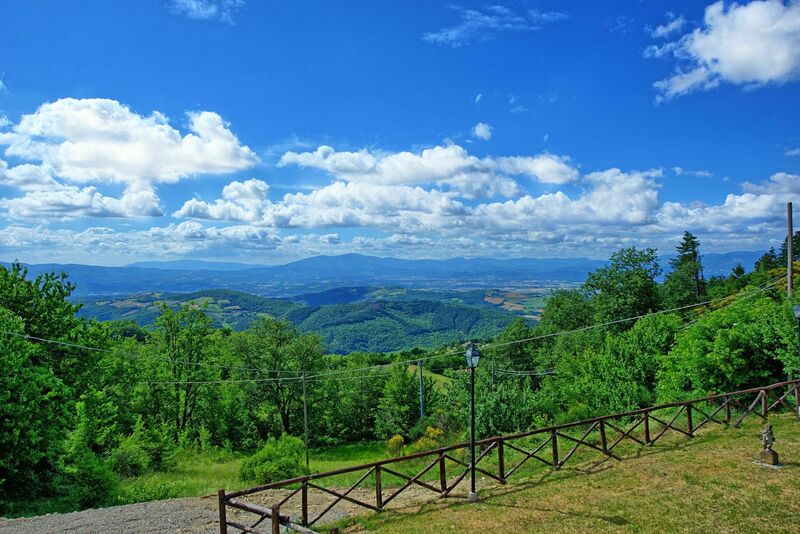 Distances: Città di Castello (wide variety of shops) - 7 km, Arezzo - 45 km, Cortona - 50 km, Gubbio - 56 km, Urbino - 76 km, Perugia - 62 km, Florence - 120 km, Siena - 115 km. 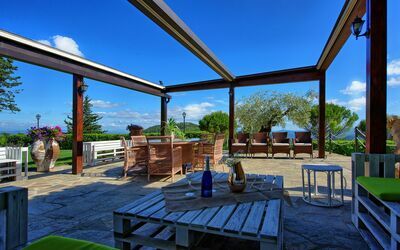 The Romagnola Riviera (along the Adriatic Sea) lies roughly 140km and offers never ending beaches with loungers to rent and a famous nightlife of bars and clubs. First floor: living room (TV) with dining area and kitchenette (2 electric rings, fridge-freezer). 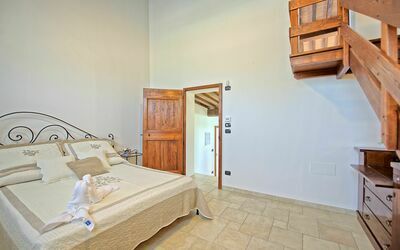 3 steps higher: double bedroom, bathroom with shower. 5 steps higher: double bedroom leading to a loft with twin beds. First floor: living room (TV) with dining area and kitchenette (2 electric rings, fridge), double bedroom, bathroom with shower, twin bedroom. Ground floor: living room with dining area and kitchenette (2 electric rings, fridge), double bedroom, twin bedroom and access to outside, bathroom with shower. 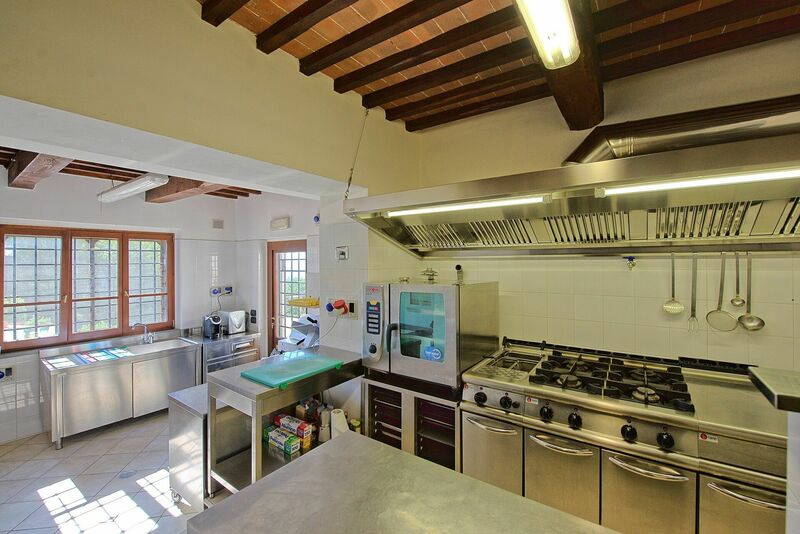 Ground floor: large room split over 2 levels with large fireplace, tables, chairs and WC. 3 steps below: well equipped kitchen with oven, fridge/freezer, hob and dishwasher.